Anxiety is an uneasy feeling of worry or fear and can range from mild to severe. At some point in their lives, everyone feels anxious and that is normal, but for some people anxiety can become more difficult to control and it can get in the way of their daily life. In some cases, this out of control anxiety can be associated with a specific situation rather than being a more generalised anxiety, and this is sometimes called situational anxiety. Anxiety is normally described as involving psychological symptoms (the feeling of fear or worry) but it can also cause physical symptoms such as dizziness, heart palpitations (a noticeable, strong, fast heart beat), trembling or shaking, dry mouth, excessive sweating, shortness of breath, feeling sick and stomach ache and headache. These symptoms are sometimes described as panic attacks and can be brought on, for some people, by certain situations or triggers that would not affect other people – for example being a busy crowd such as when travelling in rush hour. This is described as situational anxiety. Getting treatment is as easy as 1, 2, 3! How can Situational Anxiety be managed? For many people it can simply be a case of avoiding the situation that causes the anxiety or panic attacks. However, this may not always be possible as the situation that is causing the problem is part of normal life and it cannot be avoided, and so a little help is needed. In general, there are a number of self-help approaches that can reduce feelings of anxiety. Regular exercise, learning to relax, avoiding caffeine, smoking and drinking alcohol and self-help techniques involving cognitive behavioural therapy (CBT) approaches, or joining a support group are all approaches that can be effective. More generalised anxiety is often treated with psychological treatment based on CBT or long term medication. The Pharmacy2U Online Doctor service is not appropriate for people with generalised anxiety and we will not prescribe medication specifically indicated for this condition such as SSRIs, SNRIs or benzodiazepines. Situational anxiety can be greatly assisted by the occasional or short-term use of medication that can help control the physical symptoms that may be experienced. What Medicines are available to treat Situational Anxiety? 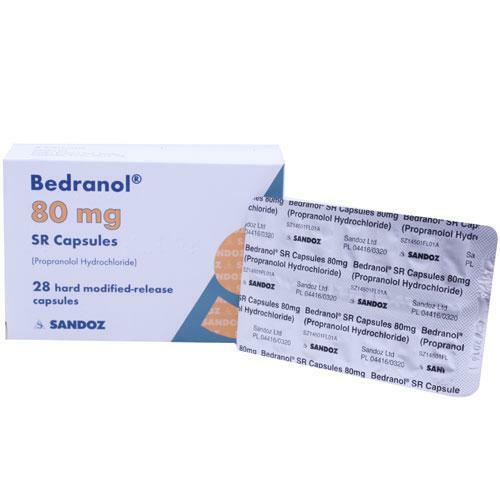 Propranolol is a beta blocker which can be very helpful in controlling symptoms such as heart palpitations, excessive sweating and trembling. By stopping these symptoms, it can be of great help in stopping the anxiety from taking hold and controlling you. It can be used when you know that the situation that causes your anxiety will be faced, or it can be taken on a more regular basis if needed. To have a confidential and convenient situational anxiety consultation with our UK registered GP click below.